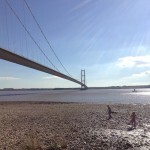 On the 1st October I shall be attending the East Yorkshire Business Expo 2014 at the Mercure Grange Park Hotel, Willerby. The expo opens at 10am and there will be over 100 local businesses exhibiting, with many more expected to be attending. I am aiming to be there for about 10am, to get my name down for the morning’s speed networking session. I hope to make some more local business contacts. So if you see me about, please come and say hello. Better English – #1: are we nearly their yet? In social media, while there’s a fair chunk of people who either a) don’t care about your poor use of the English language, or b) don’t even notice, there’s also a fair chunk who do notice and do care. 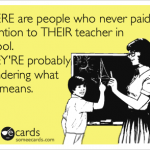 Poor spelling and grammar will alienate people who do care and see improper use as unprofessional. Yes, you may still get the custom from those who don’t know or don’t care, but why not take a little more time to get those who do notice on board too? You may have heard of Pinterest and wonder what it’s all about. I did at one point too! I started using Pinterest around 18 months ago. I’ve been a big user of Twitter for about four years and, to be honest, with the kind of content I was creating, Pinterest just didn’t interest me. Then I got into travel blogging. Pinterest started to make sense, and now it’s my second biggest source of blog traffic behind Google search. It beats Facebook by a mile.